Projection Wizard tool enables you to change an existing layer projection. To access Projection Wizard, click on the Tools tab. Browse to a datasource layer. If the projection has been detected, it will appear in the form. 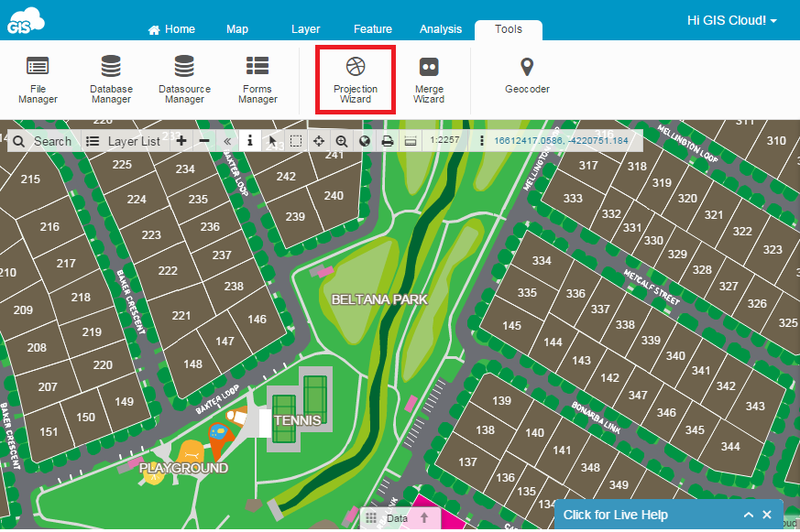 Select new datasource projection (SRS – Spatial Reference System Identifiers) and click Select to add it. Choose Assign an output SRS to correct the current projection. 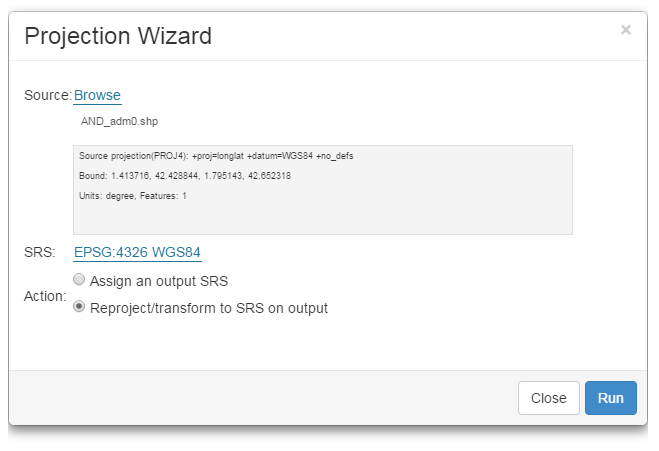 If you wish to transform datasource from an existing projection to the newly selected one, choose Reproject/Transform to SRS on output. 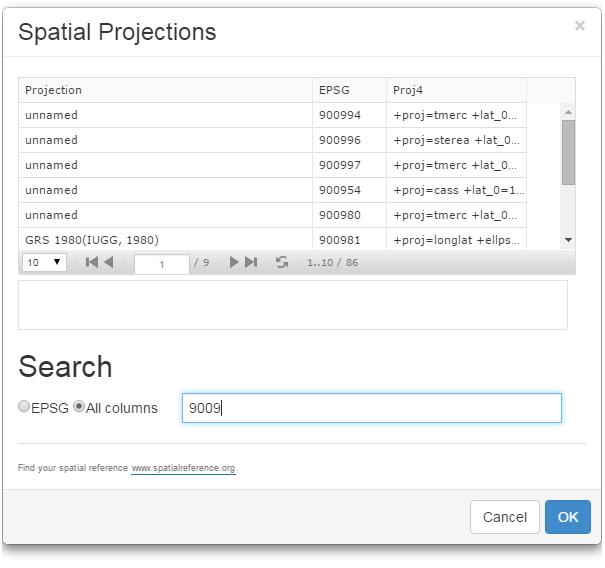 To help you find the projection you want, you have a search tool at your disposal. You can search by EPSG code or by all columns. For more informaiton on projections, visit http://www.spatialreference.org.